The data was added on ,	7 January 2017 read 587 times. Abdullah Muhammad al-Muhaysini, the religious leader of Jeish al-Fatah coalition of terrorist groups, admitted defeat in battle against the Syrian government, blaming two certain terrorist groups for their humiliating defeats across the country. The Saudi Mufti (religious leader) underlined that the plan to merge the rebel groups (into a new formation) has failed, blaming Ahrar al-Sham and Fatah al-Sham Front (previously known as the al-Nusra Front) for the devastating defeat Jeish al-Fatah has suffered across the war-hit country. He further added that he had accepted the entire conditions that Ahrar al-Sham offered him, including resignation of Abu Mohammad al-Joulani from the post of top commander of the fresh groups that they wanted to establish, but Ahrar planned more terms and conditions and raised excessive demands, leading to the coalition’s failure. Last week, social media pages affiliated to the opposition groups started trending Hashtag (#) against Abdullah Muhammad al-Muhaysini, accusing him of promoting ISIL’s ideology among other militants. The social media activists accused him as a promotor of ISIL thoughts under #Al-Muhaysini Did Enough to Destroy Our Revolution. 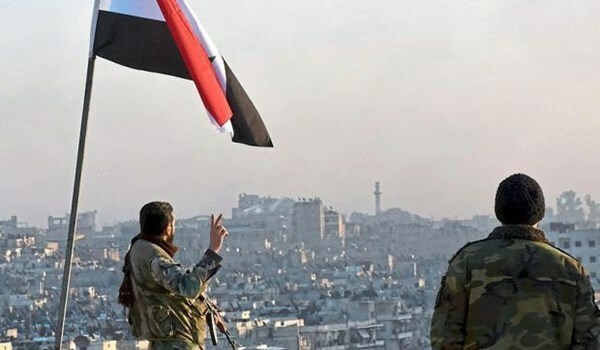 The activists said al-Muhaysini financed Fatah al-Sham Front (previously known as the al-Nusra Front), but ignored the groups’ continued aggressions against militant groups affiliated to the Free Syrian Army.